Movie Night has been a tradition in our family since my first son was just a few years old. It’s something that my kids have always looked forward to, even as they get older. Since having the new baby arrive, movie night has kind of been put on the back burner. As any new mom knows, babies are can be unpredictable with sleep and eating schedules so it’s been hard to get into the new routine and still have movie night. Now that our baby Caleb is nearing 7 months, and finally sleeping through the night, I decided that it’s time to start our family movie night and what better movie to kick it off than Ice Age Collision Course. The first Ice Age was actually my son’s very first movie. I remember taking him to see it in the movie theatre and seeing how excited he was one of those ver special memories. 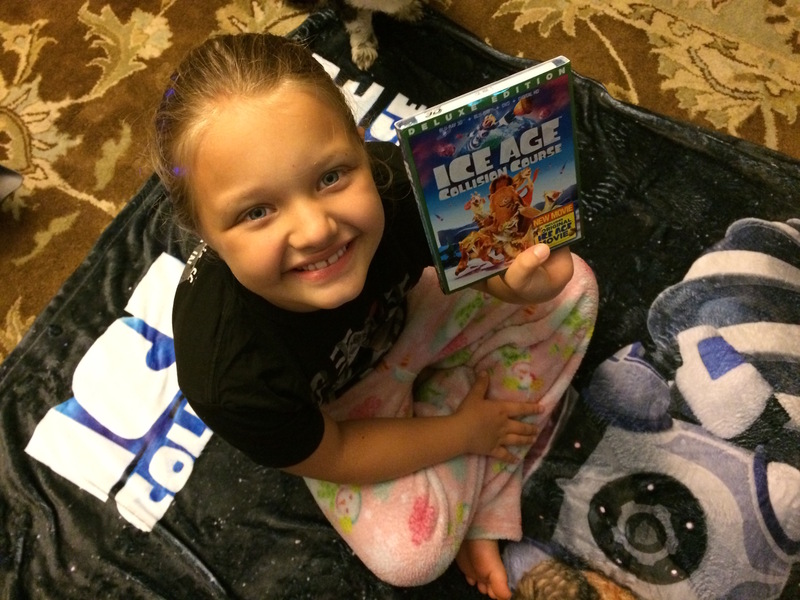 Because of this Ice Age has always been a favorite in our family. To kick off our Movie Night we made some galaxy jars that are the perfect craft to go along with a family movie night. Trust me, kids love these things. 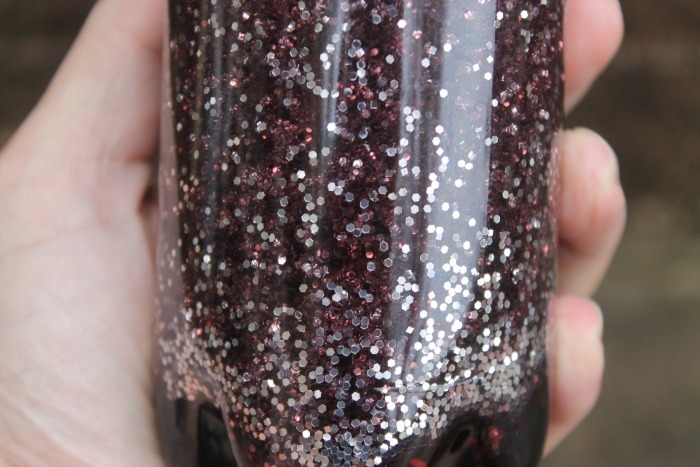 You can find the directions on how to make these galaxy calming jars here. After making our Calming galaxy jars, it was dark outside so this was the prefect timing to bring out some of the space goodies that our friends and Fox sent for our home movie night. 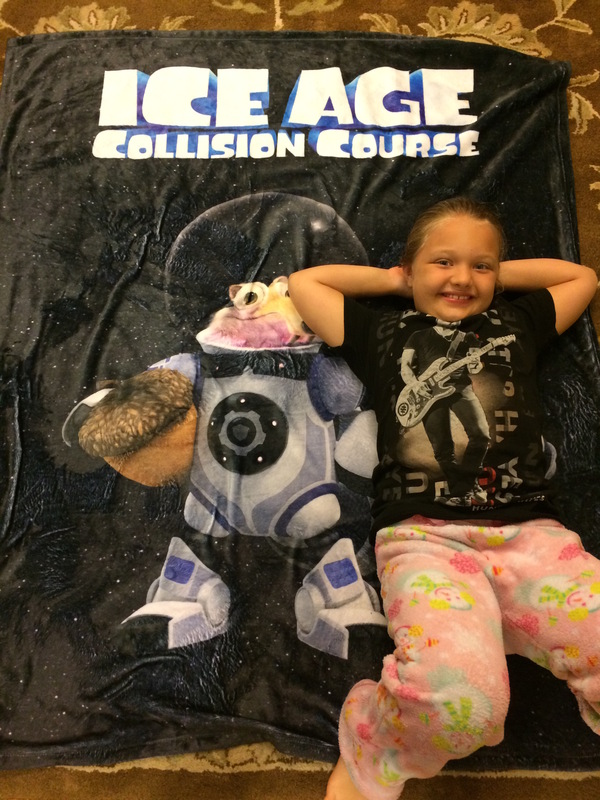 Ice Age Collision Course is the perfect movie to introduce your kids to space. 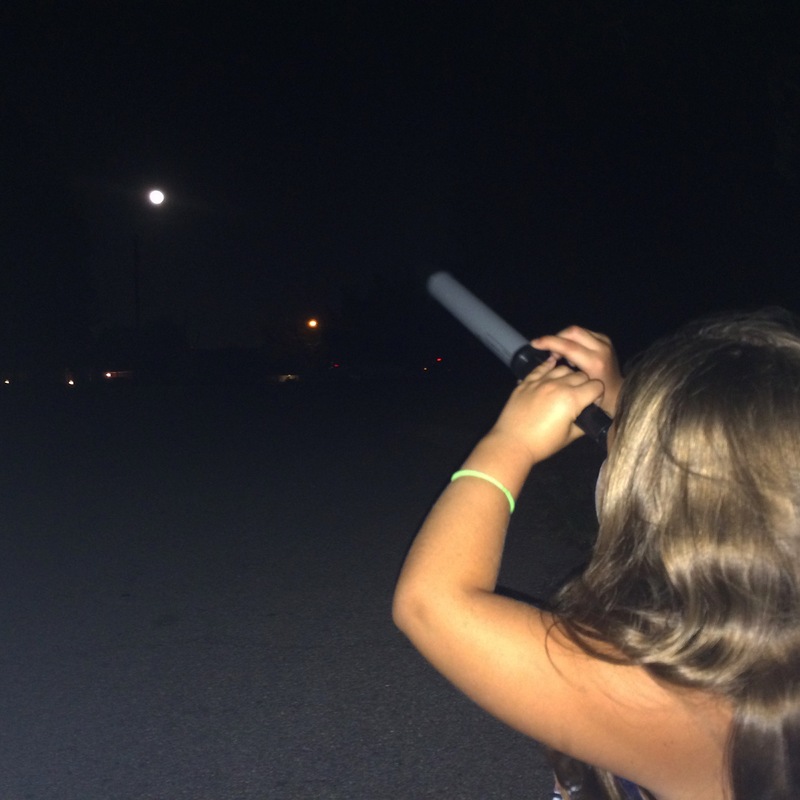 So before the movie we headed outside to check out the MASSIVE moon with our new telescope for kids. It was really fun for the kids to see the moon so close, plus they spotted a few constellations that they learned about in their new star book. This was the perfect activity to set the mood for Ice Age Collision Course. The kids and I were so excited to finally get a chance to snuggle up and watch a great family friendly movie. We loved the movie and I think you and your family will too! For some added fun, you can have a Scrat In Space movie night just like we did. It’s a great way to get the family together for some memories that will last a lifetime.